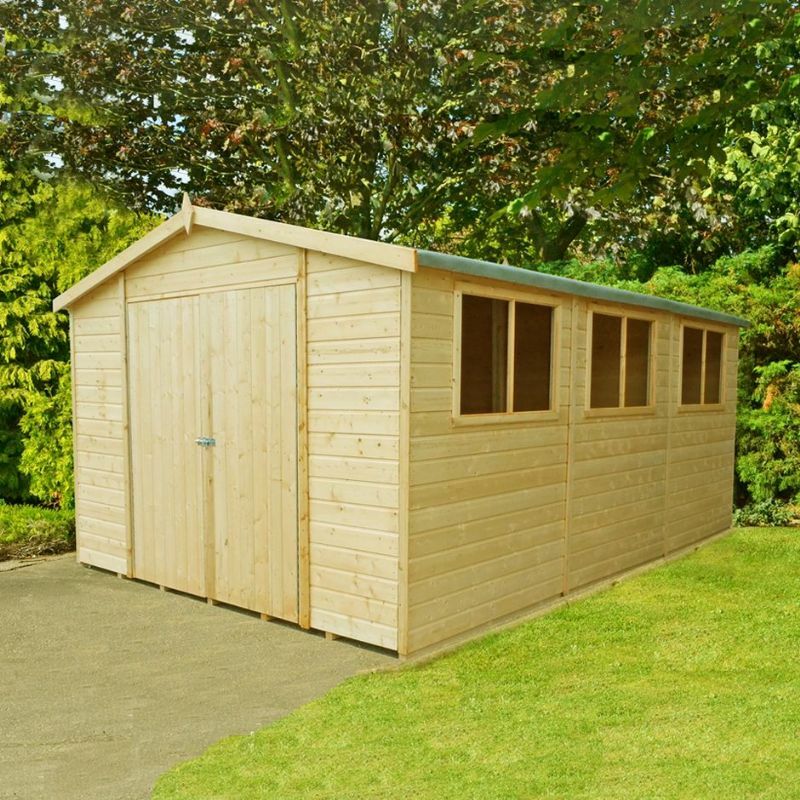 The Shire tongue and Groove Workspace Double Door Workshop is an excellently constructed garden shed big enough to fit all your possessions and also double as a workspace. 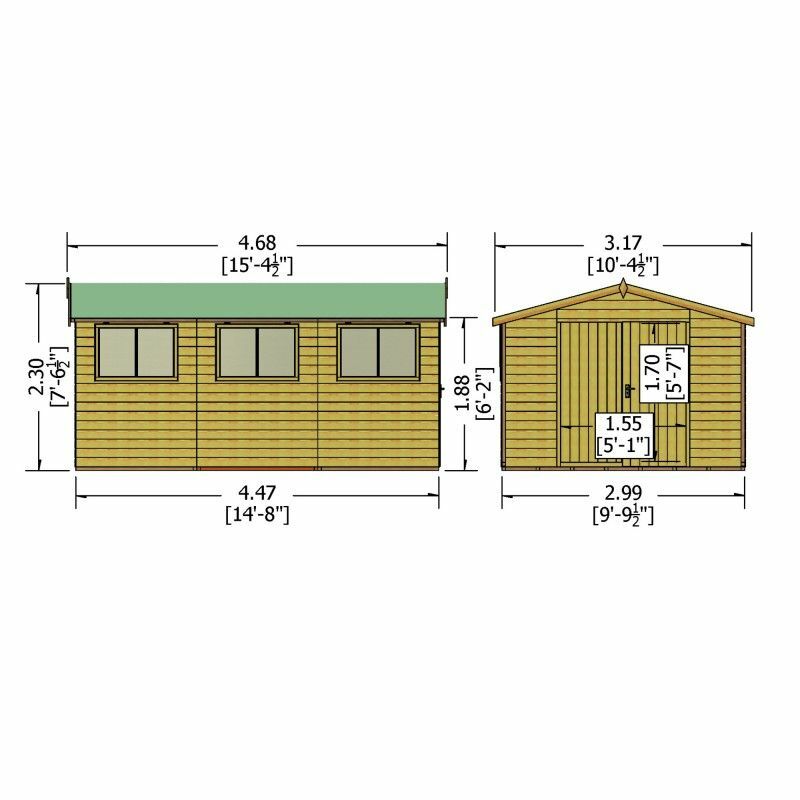 Constructed on 34mm framing, this tongue and Groove Shed also has 12x120mm cladding with a 144mm facing and is constructed with FSC approved high-quality whitewood timber, making the shed strong, durable and watertight. 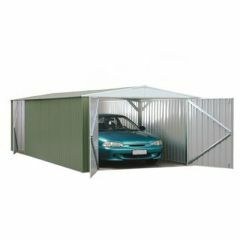 The shed's panels have been dip-treated for added protection. 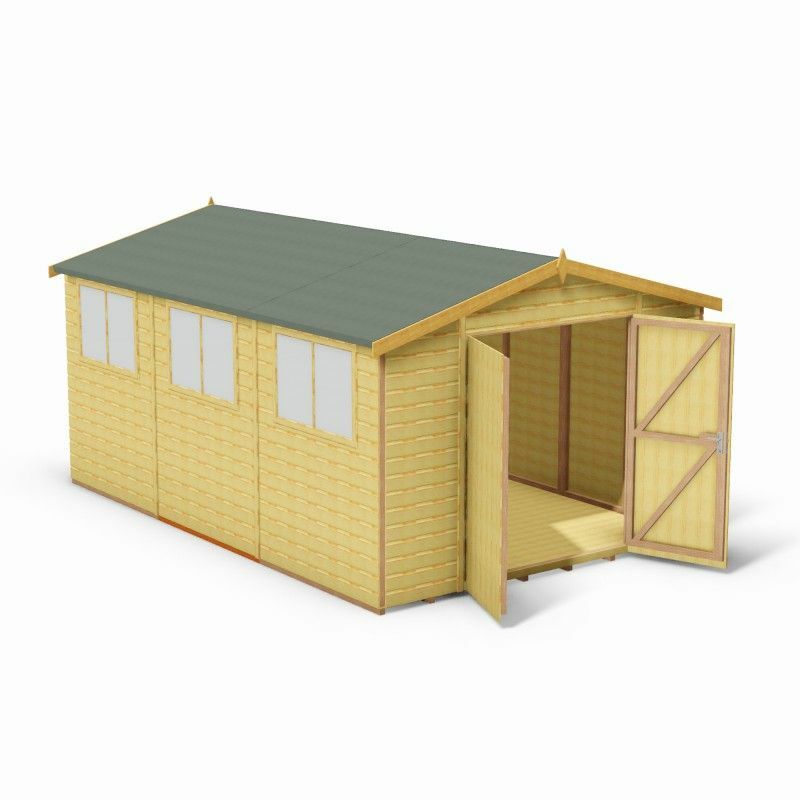 tongue and Groove floor and roof are included, with the roof including mineral felt. 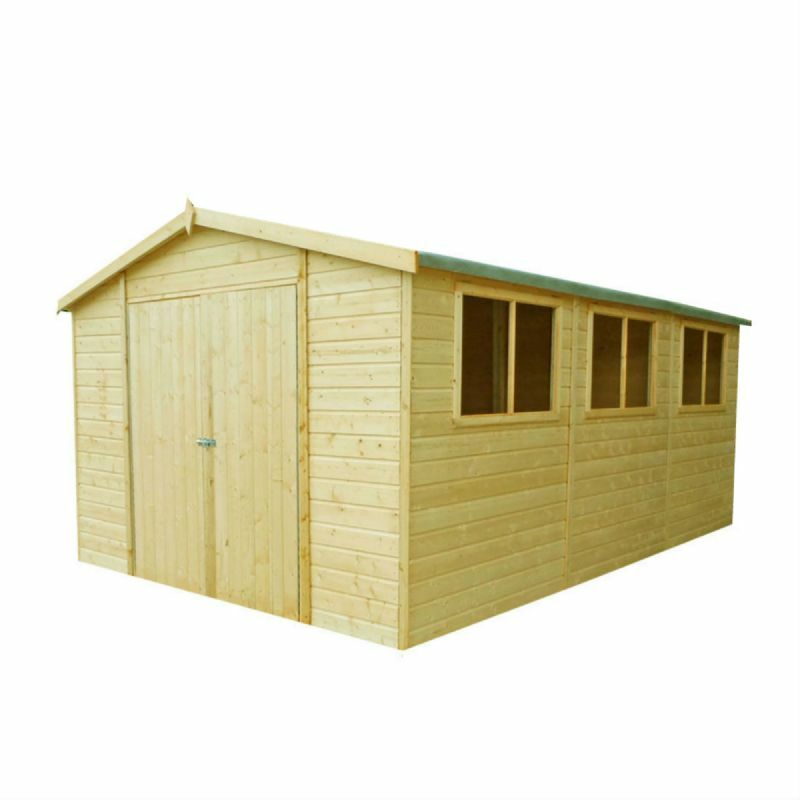 The shed has 3 large opening side windows and double rim lock doors (padlock not included) for added security.